In a shocking example of malpractices in examination, raiding team of Education Department in Jharkhand caught seven students writing exams in an under-construction house a few hundred metres away from their designated exam centres. The team also caught parents of the seven students in the premise. The team along with police had scaled a wall to catch these students cheating in the ongoing board exams. The raiding team also seized eatables and soft drinks from the spot. The students’ exam centre was at the Adivasi Bal Vikas Vidyalaya at Ratu. According to IANS, the school principal refused any knowledge of the incident and said that he was not aware as to how the question papers and answer sheets were sent outside the centre. Commenting on the incident, the state Education Minister Neera Yadav said that the matter will be investigated by proper authorities and those found guilty will be subjected to strict action. She said that smuggling question paper and answer sheets outside an exam centre was a serious offence. She also maintained that the public’s faith in the state education system will not be allowed to waver due to such incidents. 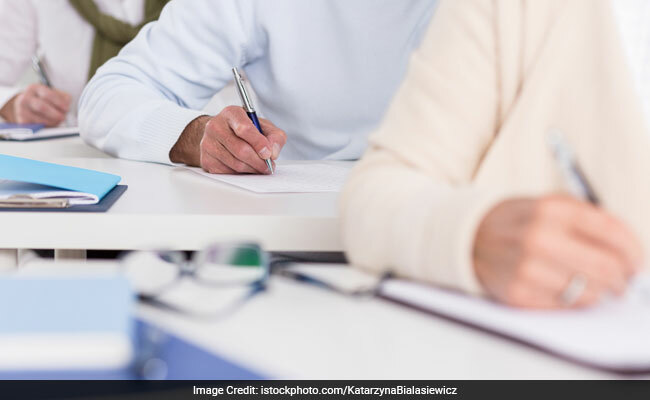 According to reports, 175 studnets were allegedly caught cheating during the class 10 state board examination and 163 students in class 12 state board examination. Majority of cases of cheating and malpractice in exam has been reported from the Chhatarpur sub-division of Palamu district. The allegations of cheating and unfair practices is a blow to state governments claims to provide quality education to students enrolled in state-run schools and colleges.